The GMSP Undergraduate Internship invites rising undergraduate seniors of diverse backgrounds to be part of multidisciplinary teams developing evaluation research on current social policy issues at our NYC office. The eight-week internship provides the opportunity to work with MDRC teams on a range of organizational and analytical tasks, as well as participate in regular meetings to network and learn more about the context of MDRC’s policy work. Interns will also have the chance to attend trainings and talks to develop specific skills and knowledge areas. Fernando Medina is a senior at Brown University majoring in public policy with a focus in education, environment, and government ethics. He is a member of the Brown Progressive Action Committee, in which he led a campaign in favor of a criminal justice reform bill in Rhode Island and was involved in a campaign for the Rhode Island Promise Program. Talia Scott is a senior at Haverford College majoring in political science with concentrations in peace, justice, and human rights and in Africana studies. She plans to write her senior thesis on the costs of prison to families and society. She is also interested in structural gaps in higher education access and preparation. The GMSP Operations Internship is open to master’s degree candidates who have work experience in a non-research field and who would like to be exposed to working in a research setting. Placement will be in our NYC office. Interns work closely with senior-level staff with expertise in program design, program assessment, evaluation start-up, and technical assistance on program implementation. At MDRC, this important function is referred to as “operations” work; operations staff work closely with program sites and MDRC researchers to ensure the organizations participating in our evaluations have strong programs. 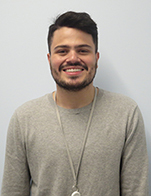 MDRC is pleased to welcome Nelson Sierra-Sosa as an operations intern in the Gueron Minority Scholars Program for the Fall of 2018. Nelson is pursuing an MPA in program evaluation at New York University and has a bachelor’s degree in public affairs and public policy from the University of North Carolina-Chapel Hill. At MDRC, Nelson will work on several projects, including the P-TECH 9-14 evaluation. Nelson has experience in operations, data analysis, and economic development. Application for the 2019 Operations Internship. The GMSP Doctoral Fellowship brings Ph.D. candidates pursuing independent, self-directed research on economic and social problems affecting low-income Americans to both our NYC and California offices. There is also the possibility of being placed in the DC office. 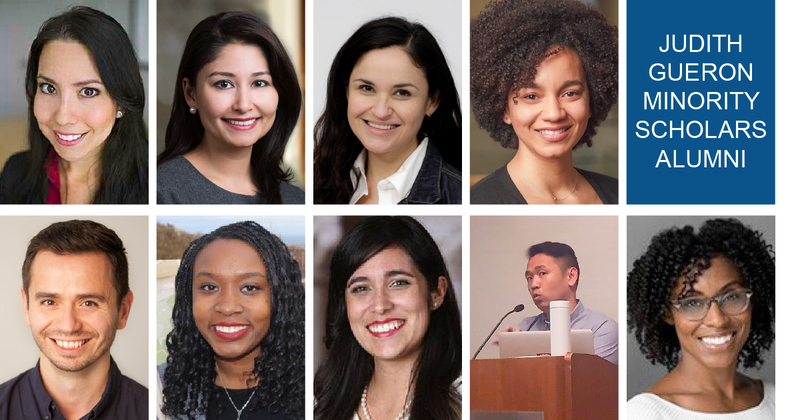 Fellows receive a $5,000 stipend, work on their doctoral dissertation, and have the opportunity to receive feedback on their dissertation content and methodology. Bailey Brown is a doctoral candidate in Columbia University’s Sociology Department. Her research examines the intersections of urban poverty, elementary education, and the family using qualitative methods. Her dissertation evaluates urban school choice policy and open enrollment plans from the perspective of parents. Specifically, her work analyzes the social processes that shape how low-income parents living in New York City make educational decisions for their elementary-aged children. She considers how differences in resource allocation, times of economic uncertainty, and the rise of schools of choice shape parenting across socioeconomic indicators. Nidia Ruedas-Gracia is a doctoral candidate in the Developmental and Psychological Sciences Department at the Stanford University Graduate School of Education. Her research interests include exploring the sociocultural factors that impact the academic performance and psychological development of historically marginalized students in higher education. She is also interested in informing and developing culturally-sustaining interventions for historically marginalized college students, specifically those who are first generation and have low incomes. Her dissertation explores the association between sense of belonging and academic performance among first-generation/low-income college students. Application for the 2019 Summer Doctoral Fellowships. 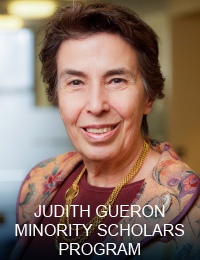 Click on the image below to learn more about previous Judith Gueron Minority Scholars at MDRC and what they are doing now. In 2018, MDRC released the organization’s official Commitment to Diversity. You can view the full statement here.